One benefit of transitioning from university to full-time employment is the opportunity to work closely with friendly, supportive, inspiring people. Unfortunately, you may also encounter individuals who aren’t so easy to get along with – and in the workplace, unlike at university, it’s difficult to ignore or get away from such people. You may even sit next to an unfriendly co-worker for hours each day. A variety of hard-to-handle personalities inhabit organisations in every industry and profession. There are cynics, who look for and talk about only the negative aspects of any situation. There are unreliable co-workers, who promise the world and continually fail to deliver. Their behaviour can be frustrating if you rely on their help to move a project forward. There are people who refuse to cooperate or collaborate on even the simplest team-oriented tasks. There are those who have narrow, inflexible views about how things should be done. They may insist that everyone else should follow what they see as the ‘right’ processes and procedures in all circumstances. There are people who fail to control their tempers in a professional environment. Every organisation has people like these. While you may dream of escaping such a work environment to find an alternative place where everyone is positive, competent and easy to get along with, you’re unlikely to ever find such a utopia. The only alternative is to develop skills for coping with abrasive personalities. Take time out before you respond. When someone says or does something that offends you, your first impulse may be to react with annoyance. This is likely to make matters worse and trigger a negative secondary response from the offending party. Better to temporarily remove yourself from the scene of potential conflict and take time to devise a more considered, reasoned approach to resolving the issue at hand. Put yourself in the other person’s shoes. Consider the person’s core intentions (rather than just their actions) and the many different factors that may be contributing to their behaviour. There may be extenuating circumstances that you are unaware of. Ask others for advice. It’s often useful to get a wider perspective. Other co-workers may have a keener understanding about why the person is behaving in a particular way. 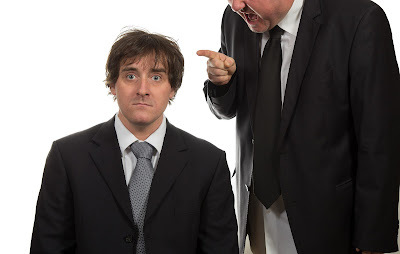 Alternatively, you may discover that the person tends to act in the same way with everyone in the office – this may help you realise their behaviour is not a uniquely personal insult. Focus on the person’s positive attributes. A difficult co-worker may be rude, but they may also be outstanding in performing the technical aspects of their work. If you express your appreciation of this to them, they're likely to soften their approach in future interactions with you. Everyone likes personal praise and the people who give such praise. Pick your battles. If you experience conflict with a co-worker, assess whether the issue is an important one in terms of achieving the main objectives of your job. If the matter is trivial, it may be better to let it go in this instance. Speak with your manager. If you’re still in a quandary about how to handle the person after trying the tactics described above, the only avenue left may be to seek the input of a higher authority. The important thing to remember is that you don’t have to be the victim of ongoing conflict or abuse at work. There’s always something you can do to alleviate the discomfort of the situation. If you're a tertiary education student, The Tax Institute can help you progress in your career.